Remember that vision of cars that drive and then park themselves on command? They’re here. Tesla’s Model 3 can both park itself and open garage doors without a driver behind the wheel. 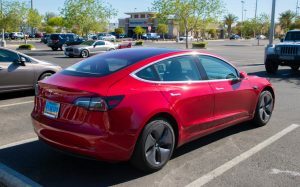 The new feature is called Summon, and was added to the Model 3 after its launch; it was also added to Model S and Model X cars using new technology that lets Tesla modify what existing vehicles can do. With Summon, the vehicles can be commanded to find parking and open garage doors without any direct or remote human involvement.